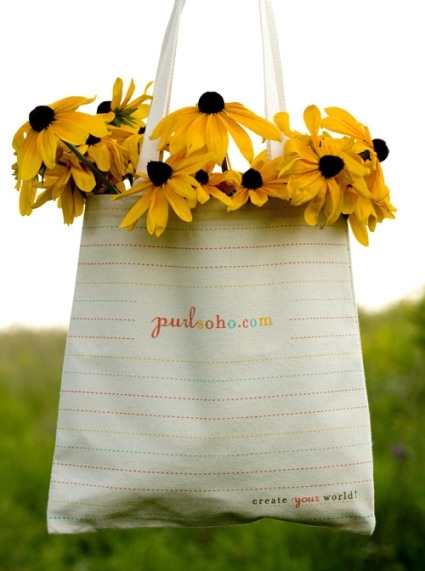 We are so pleased to announce the arrival of our first ever tote bag! 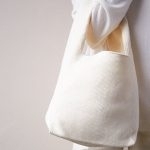 Made with 100% organic cotton, our pretty canvas bag is strong, reusable and comfortable to carry, with plenty of room for your knitting or sewing projects, groceries or books. They also make a terrific gift. We’re proud to be doing our part to look after our planet. 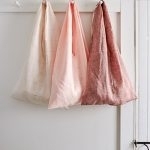 9 Responses to Announcing Purl’s First Ever Organic Cotton Tote Bag! 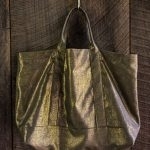 Beautifuls bags. Now I know what to get for everyone for the holidays! You realize, I’m sure, that some of us are going to buy them so that we can cut them up and make them into other tote bags. Cute! Perfect size and I like multi-color stitching print. Really nice. It’s perfect! so cute… like all your creations. 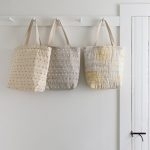 Does the bag have pockets for our sewing & knitting notions? The bag doesn’t have any pockets… maybe next time?! I bought a bag last week and added a pocket & a key holder myself! That is SO cute! I have been a fan of your work for a while! Nice to meeting you, you have been linked on my blog.